Nowadays, we’re all told to live in the moment. And you can see why. There’s so much going on in our busy lives that it’s easy to feel completely overwhelmed. Emails, Twitter, Facebook, Instagram … Where does it end? Some months ago, when I was writing ‘The Ruby Ring’ (an historical timeslip), I found myself on a train without any reception. My laptop had run out of battery so I couldn’t write the next chapter of my book. And I’d left behind a copy of the current novel I’m reading (‘Funny Girl’ by Nick Hornby). There was only one thing to do. Take a good look around me. There was a man sitting opposite me who was doing a crossword and looking rather annoyed with himself. In front of me was a young mother soothing her baby. One of the train staff then began to push his trolley past us. And outside, were several fields with a river that ran past a cluster of weeping willows. It struck me then that observing my fellow passengers – and taking time to look outside – was just what one of my Victorian heroines would have done. At a time when the telephone was only just being invented, amusement had to be found in simpler occupations. Talking to people. Writing letters. Watching plays. Reading books. Yet although our ancestors’ lifestyles were different, their emotions were similar to ours. The man scratching his chin over the crossword across the aisle? He might well be a Victorian gentleman playing bridge with a certain amount of exasperation. The woman with dark eye circles who was soothing her baby with such kind, loving words? Maternal emotions are timeless. The member of staff with a trolley? Maybe, in another life, he could be selling chestnuts on the street and desperately hoping for more trade so he could eat dinner that night. As for the weeping willow outside, that might not have changed at all. What sights it must have seen over the years! I didn’t use all these ideas in my novel. But I did include some. Because even though it can be helpful to live in the moment, it’s also true that our ‘present’ shares many similarities with the past. Neither would exist without the other. A spellbinding timeslip story of two young women, each with a secret. A ring unites them, a century divides them. An international bestseller, set in a seaside town in Devon in Victorian times and the present day. After a whirlwind romance, Laura Marchmont marries the charming Charles Haywood. Leaving her old life behind, she struggles to fit into Charles’s world, and to be accepted by his young daughters from his first marriage. Laura also hides a terrible secret from her new husband, which casts a shadow over her life. Then, she discovers the story of a young girl who lived more than a century before. 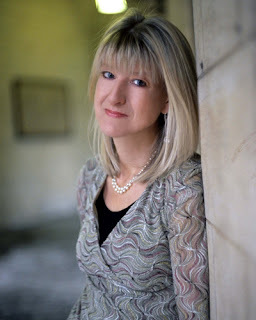 Laura is compelled to uncover the fate of Mary Rose. 1886. When Mary Rose Marchmont’s widowed father remarries it signals the end of her childhood. A series of tragic events leads Mary Rose to be accused of a shocking crime, after which her life will never be the same again. A moving family story of history, romance and secrets. Grace Macdonald is a pen name of the hugely popular romantic fiction author Sophie King. 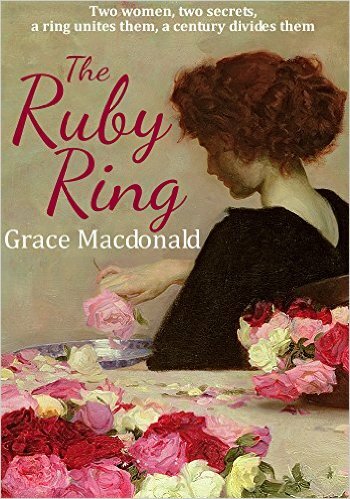 When I was offered the chance to review The Ruby Ring, the description sounded so very enticing and it immediately appealed. I love timeslip stories and I wasn’t disappointed with this one. Nearly 150 years separate Laura Marchmont and her ancestor Mary Rose Marchmont but they share more than just blood – both women have their secrets to bear and wrongs which must be righted. Told in separating parts, the lives of Mary Rose and Laura come to show startling similarities with family jealousies and secrets – with one of them subject to the most awful betrayal. As the title suggests, a ruby ring is at the heart of the story and whether or not you believe in myths and legends, this is relevant to the story. This was a very interesting and well written novel with some excellent characterisation and vivid description. Before moving onto the next person’s narrative, the end of the chapter would end on a cliffhanger and in the case of Mary Rose I was desperate to know what happened next. There were times when my heart broke for Mary Rose and although I initially liked Laura, her selfishness and ‘what about me’ attitude did start to grate. For someone that was so careful in her attitude to relationships and marriage, she broke her own rules and married Charles after barely knowing him. Woven into the story were facets of history, for example, the work of Elizabeth Fry, the English prison reformer. Personally I found the 19th Century story surrounding Mary Rose the strongest and the most interesting. The author has clearly done a lot of research which is mirrored in the story and I found the research undertaken by Laura into her family’s history fascinating. There were times when I felt the story slowed and sometimes became a little repetitive but overall this didn’t spoil my enjoyment. If you’re a fan of historical fiction and/or timeslip novels I’m sure you would find this an enjoyable read. My thanks to Corazon Books for the e-copy to review and to the author for the guest post for my turn on the blog tour.